Hanukkah starts this year on December 11th so I wanted to get a jump on the festivities by sending something fun and personal to my niece Miriam and nephew Daniel for their celebrations. 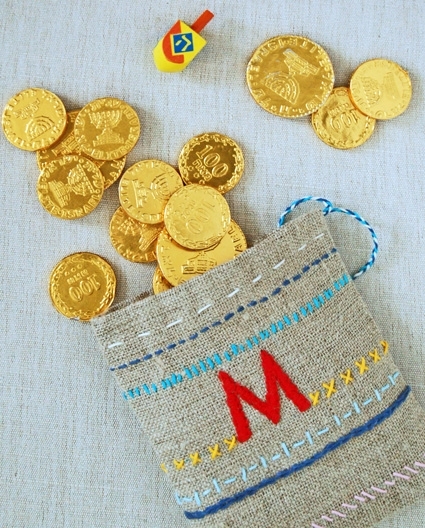 I decided to make these monogramed pouches and fill them with everything they will need to play the dreidel game: a dreidel, some chocolate coins (aka gelt), and even a little printout with a copy of the rules. Sashiko Thread in six colors. I used: Aqua, Cobalt, Cyan, Yellow, Orchid, and Off White. Four dreidels. I bought mine at E.A.T. in New York City, but you can find cute ones online here. 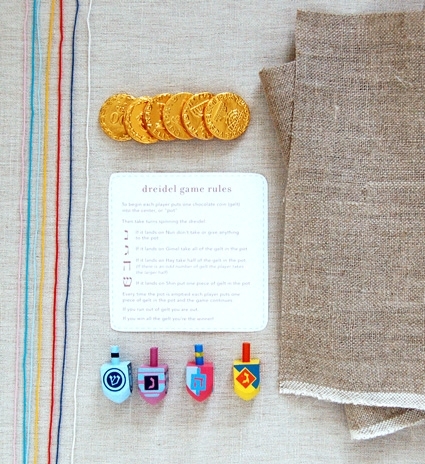 Our Dreidel Game Rules printout, available for free download here, printed and cut out. Four Bags of Hanukkah gelt (chocolate gold coins), available at candy stores, grocery stores or online here. 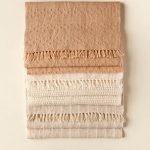 Cut the linen into four pieces, 10-inches wide by 6-inches tall. 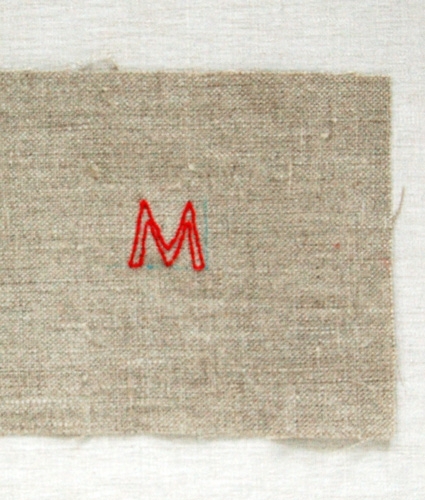 Trace the initial from the reverse alphabet you want to use onto the tracing paper with your iron on pencil. 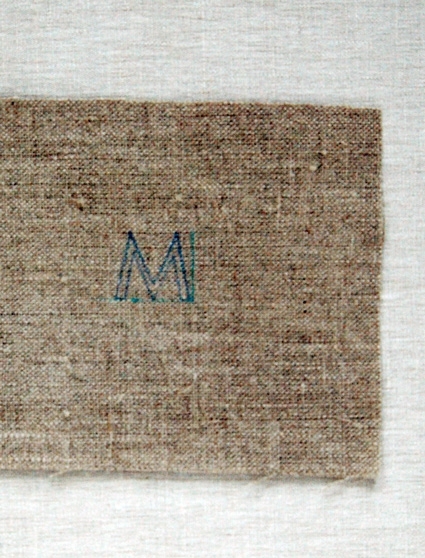 With the water soluble pen mark the area 3-inches from the bottom, and 2 1/2-inches from the right edge. Place the traced initial traced side down so that it’s outer corner lines up with the mark. 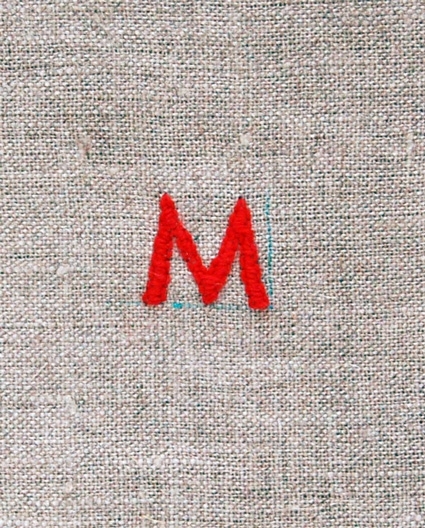 Using the red sashiko thread, embroider the perimeter of the initial with a small back stitch. 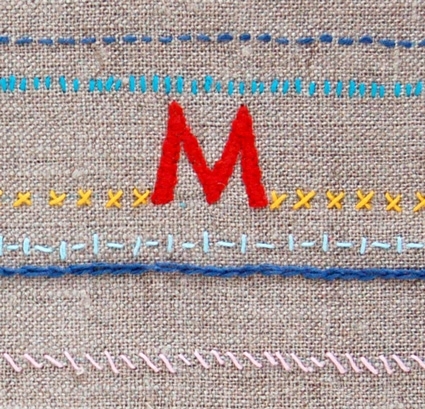 Fill in the initial using a satin stitch. If you need help with backstitch or satin stitch please check out our basic embroidery tutorial here. 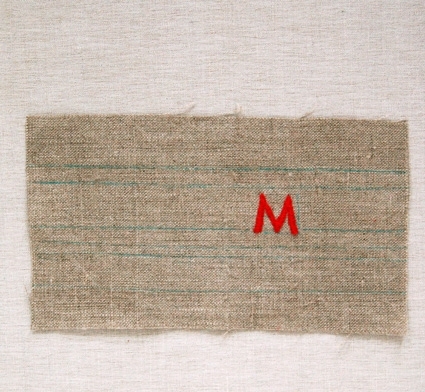 Make five to six horizontal markings across the width of the linen with the water soluble marker. Place them randomly, 1 1/2-inches to 1/4-inches apart from one another. 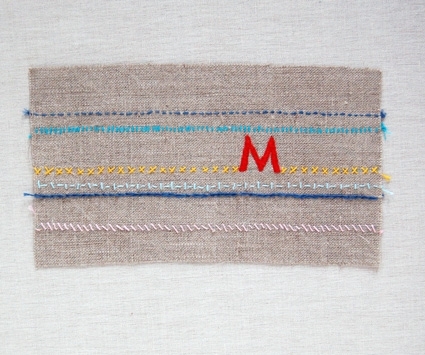 Embroider over each of these lines (but not across the initial). 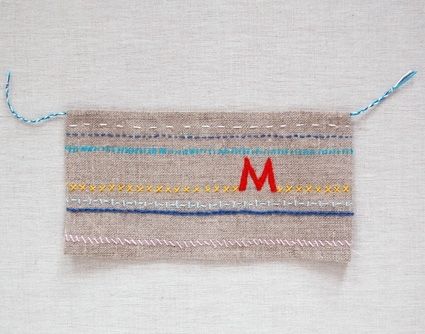 For each line use a different embroidery stitch and a different sashiko thread color. 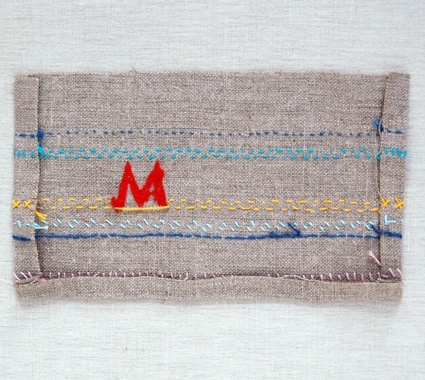 I used many variations of running stitch, cross stitch, and chain stitch. 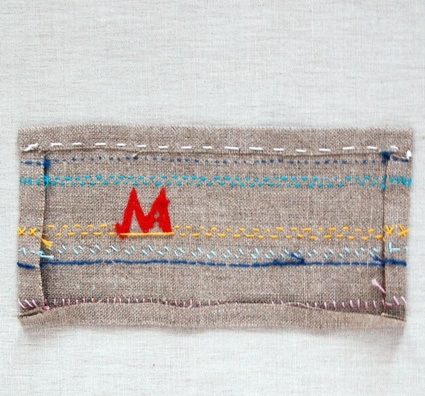 If you want more advanced embroidery stitch inspiration check out my Two Color Embroidery Tutorial. 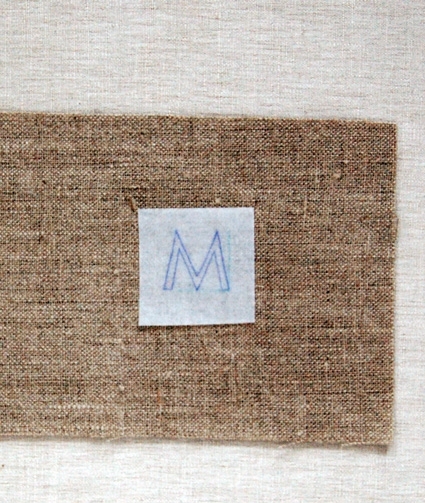 Press the sides and bottom of the linen 1/2-inch over to the wrong side of the fabric. 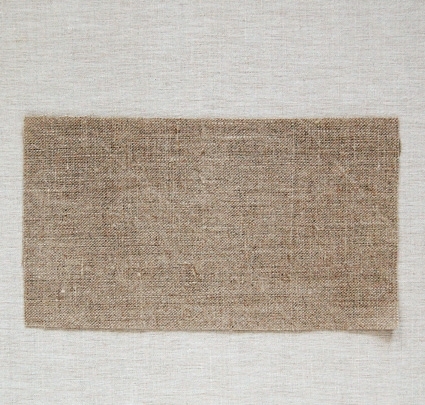 Now iron the top down 1/2-inch, to the wrong side of the linen. 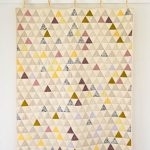 Sew this fold down with a running stitch using one of the sashiko threads. 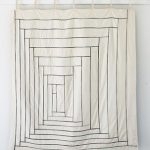 This fold is the drawstring channel. 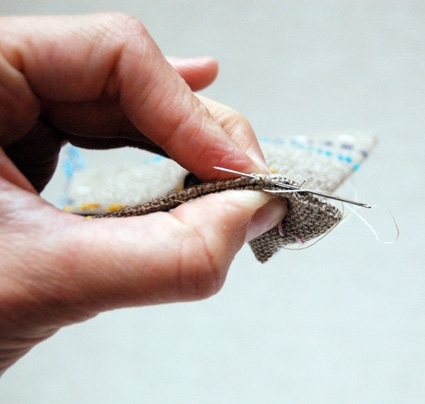 Cut an 18-inch length from three different colors of sashiko thread. Braid these strands and tie one of the ends into a knot. Thread all three pieces of the untied end into a blunt needlepoint needle and pull the braided thread through the top drawstring channel. Tie the remaining loose end of the braided threads. 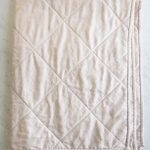 Fold and press the linen in half like a book. 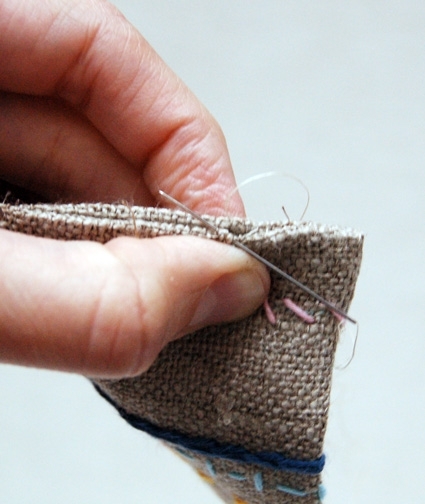 Make sure all the threads from the raw edges are all encased on the inside of the pouch and then pin it shut. 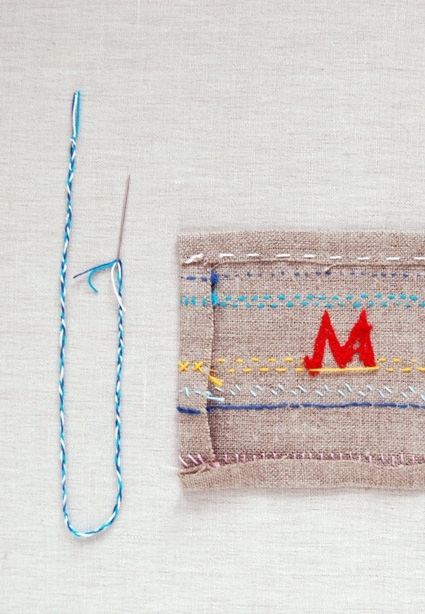 and then take a small stitch though the opposite side’s fold. Stitch the bottom and the sides up like this. The seam should be fairly invisible. 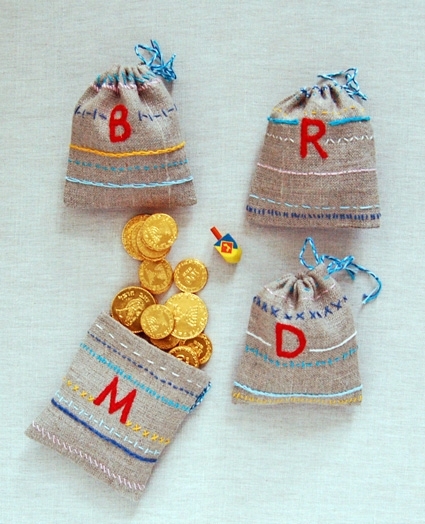 Fill each bag with a copy of the dreidel game rules, some gelt, and a dreidel and then let the games begin! 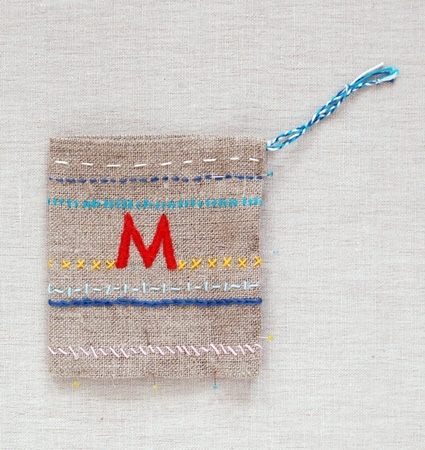 Adorable … thank you for this charming pattern for Chanukah and dreidels. 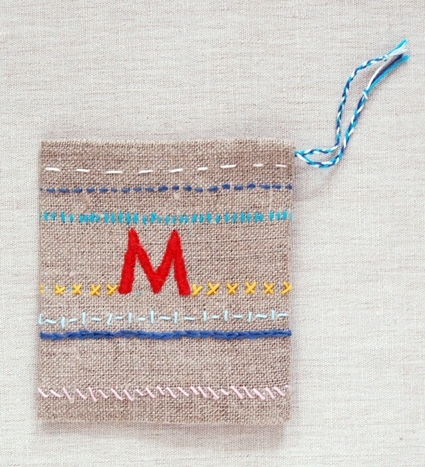 hi there,i really like your ideas on this pouch..im doing a xmas project and this image fits perfectly with it..i hope i get your permission in using one of your image.. I'm not sure what you mean by use. But you can post an image in a blog post if you link directly back to this page for all of the instructions. Is this what you had in mind?